A 2013 study found 47 percent of private wells in the state had contamination levels that exceed state health standards, although a Democratic lawmaker argues many people who rely on wells don’t know if their water is safe to drink. 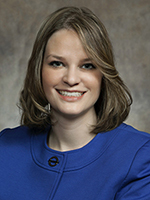 State Representative Katrina Shankland (D-Stevens Point) recently introduced what she’s calling “Clean Water Legislation”. The bill would provide $100,000 annually for the DNR to administer private well testing in a grant program working with local governments. Shankland says she’s talked to many people affected by unclean drinking water in the state. “Unfortunately they either have to buy bottled water at the store or pay to get a reverse osmosis filter or get a new well dug. Really, its a big problem for people who live in the rural areas who can’t afford to dig a new well or the cost of bottled water is also, every year, a big cost for them,” said Shankland. Shankland says the grant proposal has bipartisan support and she’s hopeful it will receive a hearing this session.